The Under 14 Binatangs have returned to PNG after an eventful journey to the AFLQ under 14 State Championships. 24 junior footballers from throughout PNG came together to battle against the best Under 14 year old kids in Australia. Coached by Mesea Dorogari and Ian Karme the boys played some competitive football, winning one of three games. U14 coach Mesea was happy with the boys performance, “The week ran smoothly and the boys played well at stages”. Congratulations to all the boys involved. Larry Nao from Goroka has been given the responsibility of captaining the South Pacific side at this year’s Under 16 National Championships in QLD. Nao started playing AFL football in Goroko and is now playing on the Sunshine Coast in Queensland, Australia. The 17 year old has gained interest from several AFL clubs including St.Kilda and Melbourne. The South Pacific squad comprises players from several South Pacific Nations including New Zealand, Tonga, Samoa, Nauru, Fiji and Solomon Islands. 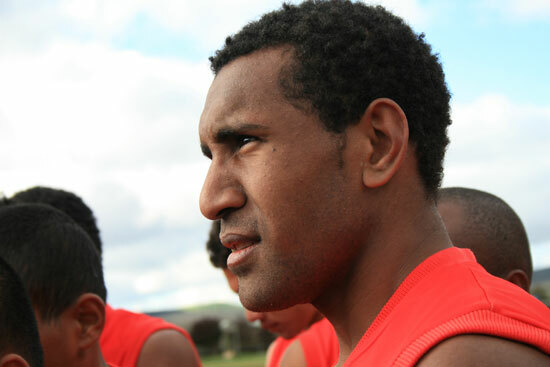 With 28 players on their list, Larry was selected as a standout leader amongst a team with great PNG influence. AFLPNG Highlands Development Manager Moses Kar was born and currently resides in Hagen, Western Highlands. A keen eye for talent, Kar began his footballing days kicking a ball around Lae Seminary. His passion for AFL football continues to grow and he now develops the game through different provinces of PNG. Whether it be teaching kids at local schools the fundamentals of football, or hosting talent camps, Kar is dedicated and passionate to the cause. The Highlands region has produced numerous standout players through the development program. The manager of the highland region Moses Kar, is responsible for the selection and further development of such players. “We have a few boys playing in Australia, and a few more on the way”. 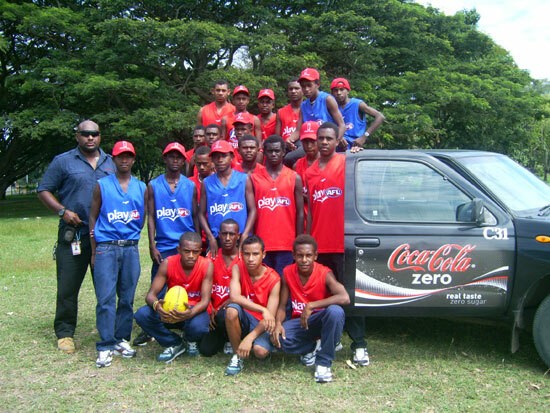 Kar hopes a few more boys from the Highlands region in the AFLPNG academy can break through into the AFL. “Current South Pacific Captain Larry Nao found in Goroka and 16 year old Gideon Simon from Hagen are two boys making a name for themselves”. AFLPNG has expanded into the Enga Province in the Highlands. 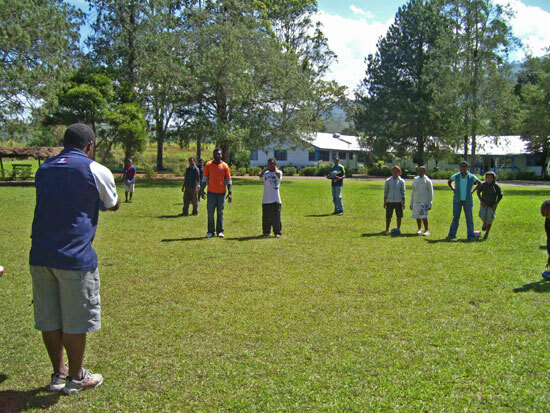 The Highlands Lutheran International School, two hour’s drive from Mt Hagen, experienced an introduction to AFL Football led by AFLPNG highlands development officer Moses Kar. Schoolchildren as young as 4, took part in a day of activities and games, thoroughly enjoying the day’s events. As part of the AFLPNG’s development program, the expansion to the Enga province in PNG is vital to the growth of the sport, and the development of the local communities. “We are trying to cast a net wide enough to reach everyone”, Yangomina said , “There are a lot of quality Enga Kids coming through based in Hagen, POM and Lae and we are trying to give everyone an opportunity”. The talent on display at the Highlands Lutheran International School highlighted the importance on branching the AFL further throughout PNG. “Peter Labi descends from Enga and now plays in Australia, so we think there are opportunities for the kids from these provinces to follow in his footsteps”, Yangomina concluded. AFLPNG has development plans for further expansion throughout PNG in the near future.